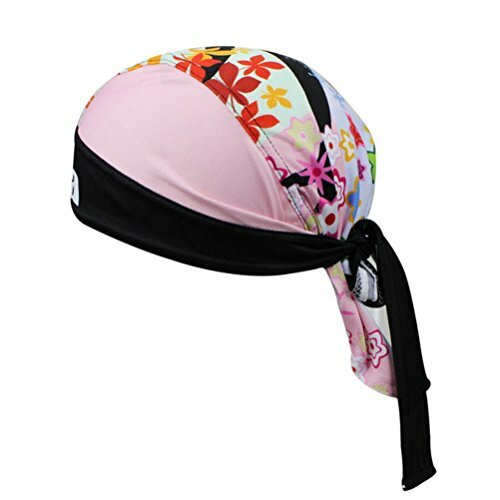 Uriah women's cycling cap is designed with 100% polyester and breathable mesh fabric. With dustproof, moisture absorption, wicking, quick-drying, breathable, antibacterial functions, it will help stopping the sweats from flowing into your eyes during strenuous exercise. In ancient times, this simple style of scarf is used to fixing loose hair in the conditions of strong offshore wind. Today, it gives us a brave and bold impression, also used as a stylish decoration, especially in the United States. It can often be seen on the street, like a big Harley motorcycle rider. Applies to cycling, travel, camping, running, hiking, fishing, leisure walking, skating, workout and so on. If you have any questions about this product by Uriah, contact us by completing and submitting the form below. If you are looking for a specif part number, please include it with your message.